Our team might not destroy the competition in this tournament, but we sure will destroy our liver watching them compete! In case they don't, we'll just have to drink our hoops sorrows away. In case they do win, we'll also drink—along with the many other times we'll down shots according to our FIBA World Cup Drinking Game! Ready the bottles, get the shot glasses out, and pray your liver holds up! 1) Jimmy Alapag hits a three. Take an extra shot if it's in the last two minutes of the game. If it's in the last two minutes of the game, and the shot takes the lead away from the opponent, do Vince Carter's patented "It's Over" celebration. 2) Jayson Castro takes it strong to the paint, and finishes a lay-up. Take an extra shot if it's an and-one play. If he sinks the and-one free throw, do Antoine Walker's patented "Shimmy Shake." 3) Paul Lee hits a free throw in the last minute of the game. Take five extra shots if the free throws are of the game-winning, no-time-left-on-the-clock variety. Then make sure to do Sam Cassell's patented "Hugo Huevos" dance right after. 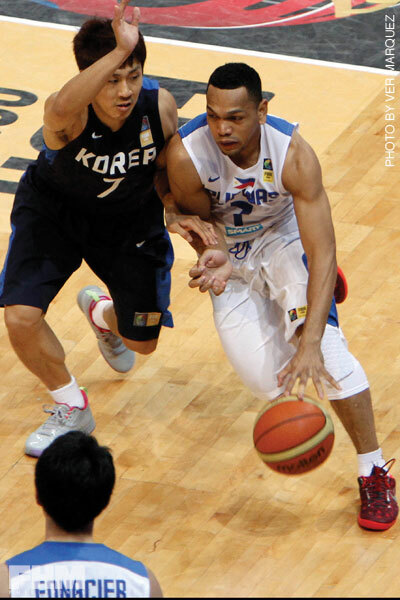 2014 FIBA World Cup: The Gilas Pilipinas Group Preview!